BonRan Home Plus is the culmination of over 20 years as an eCommerce business. What originally started out as a nature/wildlife photography business with inhouse custom framing and matting has evolved to include eclectic home comfort and décor. Being a nature/wildlife photographer, time is often spent out in the elements searching for photos. Sometimes it is in the heat of summer or the frigid cold of winter. When I come home, I'm ready to relax and appreciate having beautiful and efficient products that provide me with that comfort. Through BonRan Home Plus, I am offering those products that I feel will bring a comfortable and relaxing environment to your home. 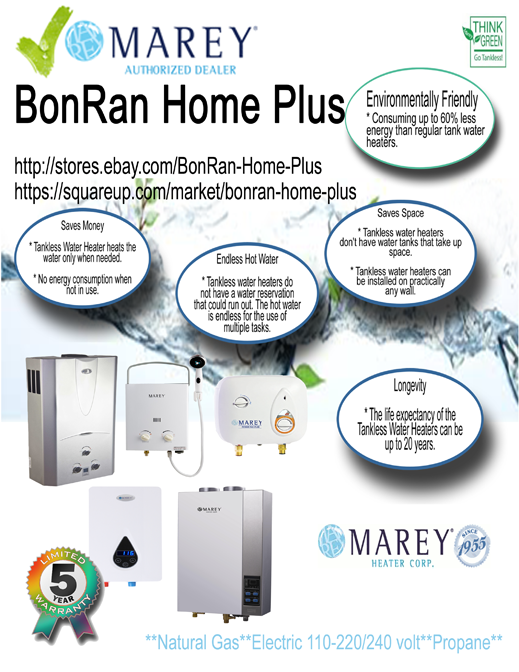 We offer the ECO-Green Marey tankless water heaters, Crio Brü beans and roasted 100% cocoa, soft, plush and comfortable bedding products, pet products, security and personal safety items, gourmet low sodium, liquid, flake and rock salts. These are just a few of the items we now offer. For your visual pleasures visit my eCommerce photographic store. Bonnie Rannald's PhotoGraphic Expressions I offer limited edition custom prints, regular prints, greeting cards, custom framed/matted images in "Off the Wall", and digital downloads. Come by for a visit. Over time new products will be added that are worthy of our promotion. So sign up for an account or to get on the newsletter mailing list. Be one of the first to know when we offer a new product, special item or discounts. Don't forget to bookmark us and please share us with your friend and family.